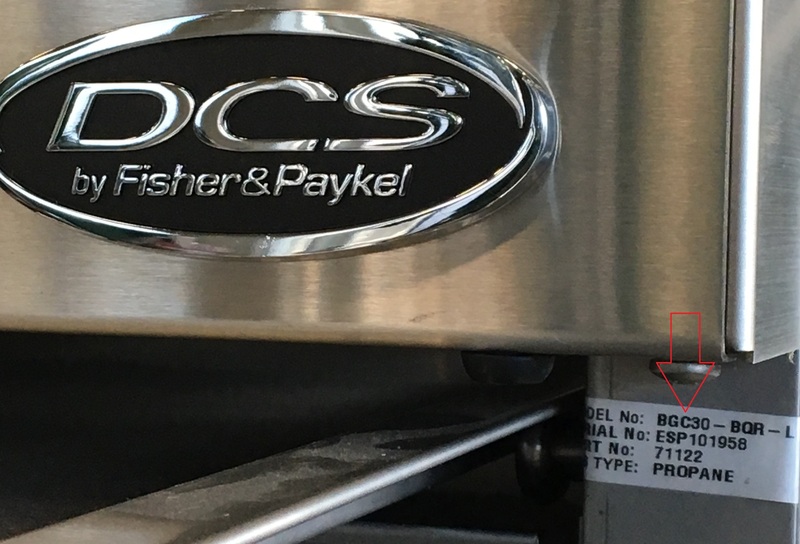 As an authorized DCS dealer, we carry a large variety of DCS gas grills, as well as all parts necessary for a fast repair or replacement. Such as cast iron and stainless steel burners, ceramic rod trays, heat shields, cooking grids, igniters, collector boxes. Over time, and after enough use, certain parts of your grill may see some wear. We stock exact-fit aftermarket DCS replacement grill parts as well as OEM parts. Each part is built to be as tough or tougher than the part it is replacing, and they can be installed easily without the need for adapters or modifications. Pull out the drip tray and look under the DCS logo on the control panel on newer grills it is to the right as seen pictured. Where do I find my DCS Model Number? Dating back to the 1980's, DCS or Dynamic Cooking Systems had the country's best engineers, including the current founder of Twin Eagles Grills Dante Cantal. This is because they set out to make commercial-quality cook-tops available to the masses.